"VTRA is the recognized ‘Gold Standard’ for violence prevention and intervention! Alongside the Toronto Police Service, we are in the midst of providing VTRA Training to over 1000 front line/multi-disciplinary staff from nearly 100 Community Agency Partners that are involved with our F.O.C.U.S Situation Tables. Further, we have found that above the recognized benefits of VTRA, this FOCUS Toronto capacity building has immediately enhanced our operational responses to preventing/countering violent extremism in Toronto." 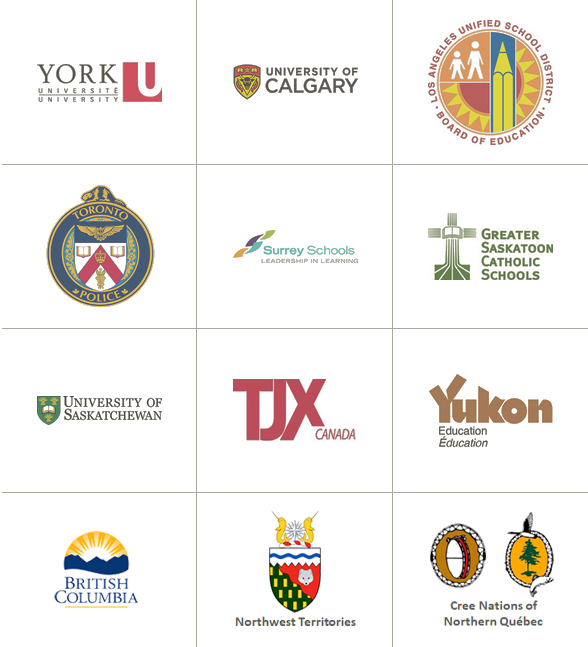 "I have had the privilege to work with NACTATR for over 8 years as a District Principal with Edmonton Catholic Schools in the area of Violence, Threat and Risk Assessment (VTRA) training. The training and support our administrators have received from the North American Center for Threat Assessment and Trauma Response (NACTATR) has been invaluable in the reduction of violence in schools and communities as well as the promotion of safety measures for all members of the community. Without this highly effective training, we would be unable to respond so successfully in the management of violent risk assessments. "In addition to the exceptional VTRA training we have received and are continuing to receive as a District, NACTATR has been instrumental in the creation of our Edmonton Community Threat Response & Intervention Support Protocol (C-TRISP). Reflecting the work of Mr. Cameron, eleven (11) partners have come together to create this significant protocol in support of collaborative planning to reduce violence and reflect safe and caring practices throughout the City of Edmonton. "I highly recommend NACTATR to any organization and wish to thank them for their outstanding service to our District." "Our relationship with the North American Center for Threat Assessment and Trauma Response spans over ten years, and what began as a Safe Schools initiative, has now become common language throughout our communities. "The Grand Erie District School Board has worked collaboratively with Kevin and his team to build capacity in schools and community partners to better understand threat making behaviour, the many faces of violence, and the concept of risk. Most importantly, this work has facilitated to our ability to recognize and mitigate risk through timely, informed, and targeted interventions. "Having attended many conferences and trainings over my 30 years of Social Work practice with children, youth, and families, the work of the NACTATR is in my experience the most clinically sound and transferable body of knowledge in the area threat assessment with youth. The foundational concepts learned apply not only in the school setting, they also apply to any human system. "Consistent feedback from staff who attend NACTATR training is that no other training has been more impactful on their practice with students and families, than Violence Threat Risk Assessment. "Los Angeles Unified School District has had an integral relationship with NACTATR for nearly two decades, our collaboration and partnership has created a footprint across our Los Angeles County. NACTATR has trained hundreds of social workers, law enforcement, school administrators, educators and community partners with his keen ability to build our capacity to address critical situations with the VTRA model and a multidisciplinary approach." "The Violent Threat Risk Assessment Protocol has provided our schools and our community with an extremely valuable comprehensive process to follow when addressing violent threat risk behaviours of individuals and/or groups. The intervention plans, often with input from our community experts, provide immense support to individuals and their families in interrupting a trajectory towards further violence. The opportunity to consult and collaborate with NACTATR when addressing complex and challenging situations has been most appreciated. Not only does the protocol assist in creating safer communities within the school and larger community context, it also creates healthier, caring communities for everyone."